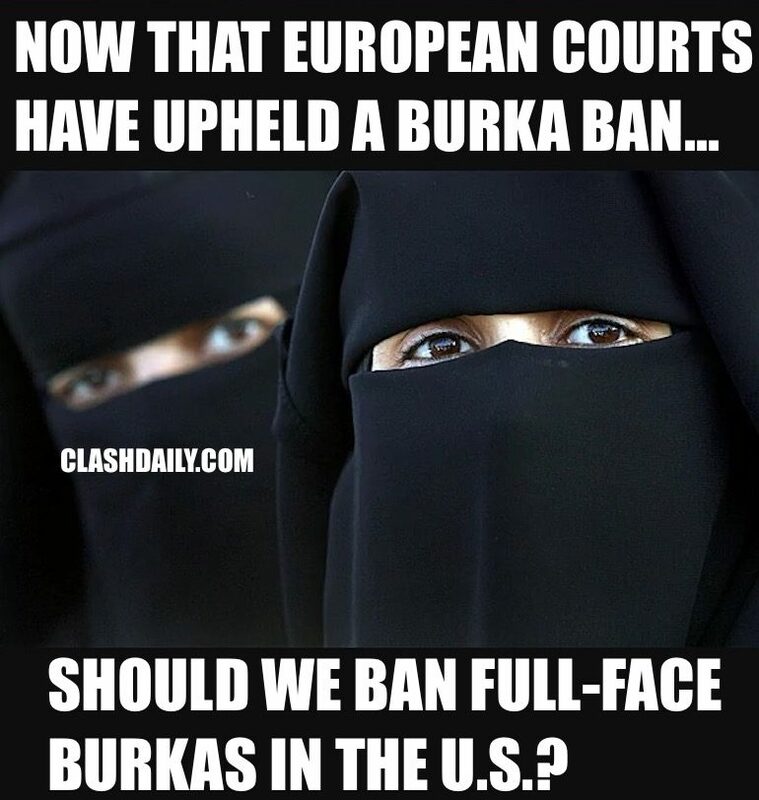 Question: Now That European Courts Have Upheld A Burka Ban, Should We Ban Full-Face Burkas In The U.S.? Is this a barrier to assimilating into western society or a legitimate ‘cultural practice’? On one side of the debate are arguments about religious liberty and multiculturalism. On the other side of the debate are arguments about public safety, women’s rights, and balkanization of American culture. Which side of the argument are YOU on? ClashDaily reported on the European court upholding the ban on the full-face covering burka. Now That European Courts Have Upheld A Burka Ban, Should We Ban Full-Face Burkas In The U.S.? The ‘liberty’ and ‘multiculturalism’ arguments are pretty obvious. The public safety one might not be. When it gets normalized, it normalizes the expectation of Sharia compliance. Unlike some countries where they are happy to move to America and live within the existing system of laws and make a better life for their family, Islam has a political ideology baked right in. And the more ground that is yielded to their practices, the bolder they become in demanding MORE ground be given. Islam doesn’t mean ‘peace’ as you or I may understand the term. It means ‘submit’. And there are places in Europe already where women who AREN’T wearing them are badly treated. 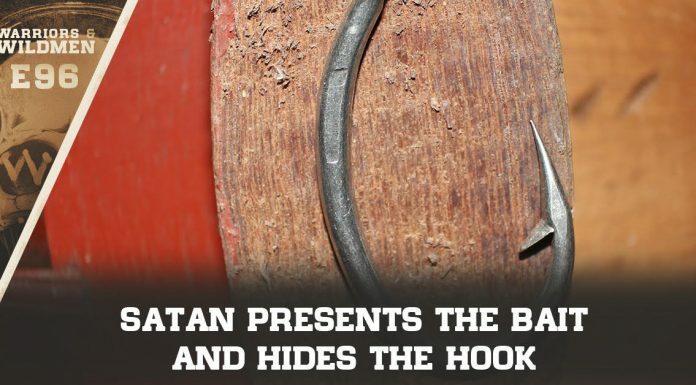 WATCH: Viral Video Shows BEFORE And AFTER Sharia — It’s SHOCKING! Just ask these women about the ‘joys’ of Sharia Compliance. But there’s a much simpler reason — Concealed identity. In many US states and the District of Columbia, there are anti-mask laws. Anti-mask laws date back to the mid-20th century when states and municipalities passed them to stop the violent activities of the Ku Klux Klan, whose members typically wore hoods of white linen to conceal their identities. As ClashDaily has detailed elsewhere, known and even convicted (male) terrorists have used burkas to cloak their identity in evading police. Such people are relying on the threat of ‘Islamophobia’. Police will hesitate to ask a suspect to bare his/her face for fear of CAIR denouncing them. There’s enough of that as it is. Share if you think this is a question worth asking.